A new album of rarities has been released as a Band Camp exclusive for the low price of $5. PsychedelicMedievalSpaceJazz features eight tracks recorded between 1996-2008 - out-takes from Sargasso Manuscript and Life Rattle including an extended mix of "The Spell is Broken". Much of this was previously released in 2006 as a limited release under the title of PsychedelicMedievalJazz. 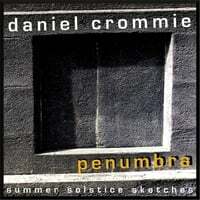 All instruments: Daniel Crommie except on Distant Train Calling where Jess Fry played percussion samples.